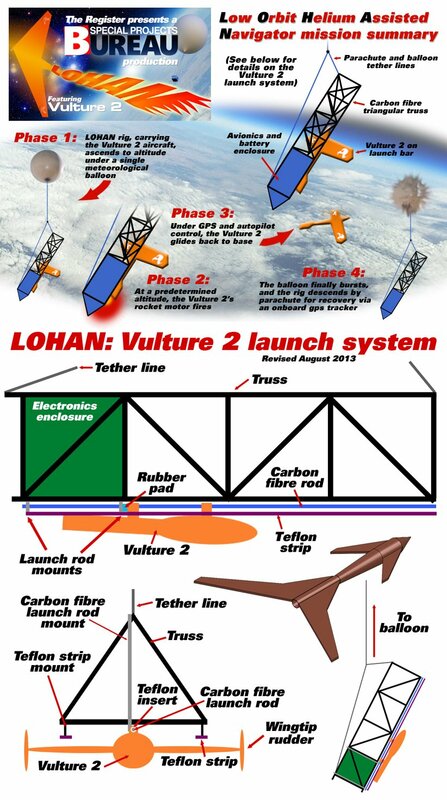 We invite fans of our Low Orbit Helium Assisted Navigator (LOHAN) mission to raise a foaming stein or two today to Linus Penzlien - the man who has recklessly volunteered to perform brain surgery on our Vulture 2 spaceplane's Pixhawk autopilot. 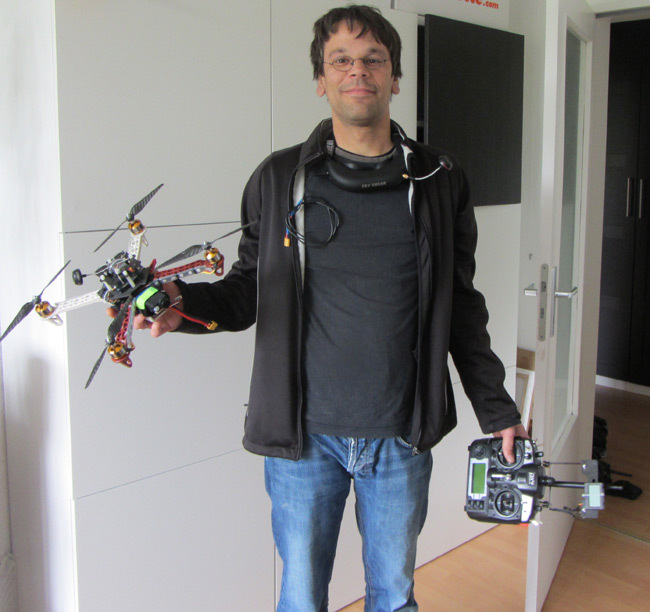 Linus, 34, will fly from his native Hamburg to the Special Project Bureau's mountaintop HQ next month for an intensive week of Pixhawk wrangling, a large part of which involves custom APM:Plane mission parameters. We'll bring you details of that process nearer the date, but in the meantime here's a bit of background on the chap who's agreed to temporarily abandon his missus of five years and 13-month-old nipper Tim for the benefit of our audacious ballocket flight. I got into electronics as an after-school activity and was always drawn to electronics and computers since my dad introduced the first PCs to our house when I was a small child. A few years after my dad got me my own PC, when I was 13, we got connected to the internet and I started to build websites for me and my mum. For a while I was hanging around networking/hacking/gaming events like the Chaos Communication Camp in its early days. So, I learned things about network and server systems. When I finished school, I did a lot of partying and started to explore electronics and arts. I did some pretty nice lighting installations before moving into doing visuals and installations for raves. I was a freelancer for a few years, and so able to focus more on the music, video and other arts, until I realized that while it's a lot of fun, there's no money to be made, so I started to move into newer technologies like 3D scanning, modelling and 3D projection mapping. I still do occasional art projects - usually a handful of gigs a year - but since Tim arrived I haven't had much time. Linus's move into the wonderful world of R/C, UAVs and UGVs came a few years back when "an old friend of mine introduced me to DIY Drones and he asked for help with his Ardupilot plane". 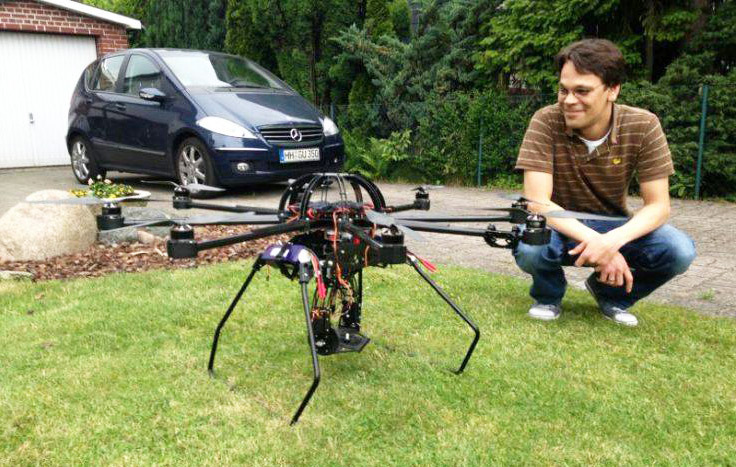 He said: "We did a lot of flying but couldn't get the plane to fly autonomously, so I started to dive into the code and figured out it would be a good thing to start with a ground vehicle to learn the basics." About two-and-a-half years ago Linus joined the APM:Rover developer team and so met Thomas J Coyle and Andrew Tridgell. Indeed, it was Samba guru Andrew who suggested Linus as the man for the Vulture 2 gig, so we're obliged to him for the introduction. This APM:Rover trio has clocked up some serious achievements, winning the 2013 Peloton class at the 2013 Annual SparkFun Autonomous Vehicle Competition. While Tom did the basic groundwork, Andrew wrote the code and Linus was tasked with "tuning and analysing the test runs, debugging code and suchlike". On top of all that, Linus has hundreds of hours under his belt flying various flavours of UAV 'copters, including the beast seen above. He evidently has the Right Stuff for LOHAN, and we look forward to welcoming him in person in a few weeks. Linus hopes that the mission might be a step towards future amateur suborbital unmanned flights. He said: "It's going to be absolutely amazing because finally the DIY community will be able to have the chance to really scratch the edge of space."